The United Nations Conference on Human and Environment was a large event in Rio de Jenario Brazil in 1992 that bring together the Heads of State, Chief of Governments, Senior Diplomats, Government Officials, delegates from UN agencies, NGOs, Journalists and officials of International Organization. The issues such as global climate change, biological diversity, deforestation, and desertification were concluded at Earth Summit. Agenda 21 was a special product of Earth Summit. It was a program for 21st century, approved by consensus among world leaders in Rio that represent 98 % of world population. This document is 700 pages long and covers all the areas of sustainable development. Agenda 21 is a dynamic program. This process marks the start of global partnership. It calls for global partnership to increase the global economy by increasing the sustainable patterns of life. This objective is to improving access to safe drinking water and better sanitation to poor. improving education facility to poor, restoration of degraded land. It ensures the men and women equal rights and free decision making to spacing the number of children. It focus on less dependence on earths finite resources, greater efficiency in energy and resources and changing unsustainable consumption patterns. In this it is emphasized that health services should be women centered, women managed, safe reproductive health care and affordable services. It also focus on reduction of infant death rate and low birth rate that stabilize the population at the end of century. It focus on fulfilling the basic health needs of populations especially in rural areas where health service facilities are less and they should be enhanced with advance health care services. It deals with access to land, credit, low cost building materials for homeless poor, upgrading of slums, access to services such as safe drinking water, sanitation, waste collection, increase use of public transport, use of bicycles ad pathways and improved living conditions in rural settlements. It calls for the government to create the sustainable strategies and policies in all ministries. It encourages the nations and corporate enterprises to include environmental protection, degradation, and restoration cost in decision making. It focus on expansion of renewable resources, enhance the sinks of greenhouse gases and control of transboundary pollution. Government shall develop the programs to detect the atmospheric pollutants, modernize the energy efficiency gaining power systems and increase energy efficiency education. It calls for government to make policies for land resources base, enforce the laws and regulations for sustainable use of land and restrict the use of arable land to other uses. Use techniques that focus on ecosystems and watersheds such as landscape ecological planning. It calls for international search and efforts to control forests cutting, uncontrolled degradation and conversion of other types of land use. Government shall plant trees to reduce pressure on old forests, breed more trees that are more productive and resistant to stress, protect the forests and reduce the pollutants. Government must adopt national land use plants, sustainable manage water resources, plant trees and reduce fuel wood and shift towards other energy efficient resources. Population food demand must be fulfilled by increased productivity, increase cooperation of rural people, national governments, private sectors and international community. Techniques should be adopted for reducing food spoilage, loss of pests, water resources management and conserving soil. I involves the adopting of strategies for sustaining and preserving biological diversity. It includes developing vaccines and use of techniques for preventing diseases and toxins, increase crop resistance to pests and diseases. There shall be less use of chemical pesticides. It deals with protection o oceans. Application of Polluter Pay Principle and giving incentives for reducing polluting in the oceans proves to be better management practices for oceans. 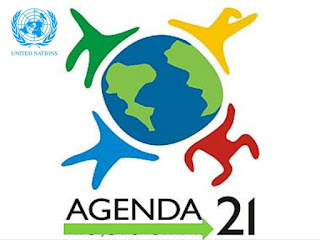 Implementation of objectives and policies in all programs of Agenda 21 and involvement of all social groups is the commitment described by this section. It describes that girls should have equal access to education, reduce workload on women, health care facilities should be provided to them and bring women in participation of cultural and public life. Access of secondary schooling should be given; Youth should be involved in decision making to make environment effective; Youth International meeting should be held; they should have right to participate in the decision making at UN. Government should enroll indigenous people in global partnership, their rights should be saved and indigenous land should be protected from harmful environmental activities. NGOs should be involve in making policies and making decisions. Local authorities such as women and youth should be involved in decision making planning and implementation process. Goal of employment and sustainable livelihood could be achieved by workers and trade union cooperation. Huge sustainable development programs of Agenda 21 require developing countries for new additional financial resources. Developed countries transfer the economic assistance n the form of technology to developing countries. It focus on development of scientific enterprises. Lack of scientific information will not be an excuse for postponing the actions. Illiteracy must be reduced to half of its 1990 level. Environment and development should be included in the education and curriculum. 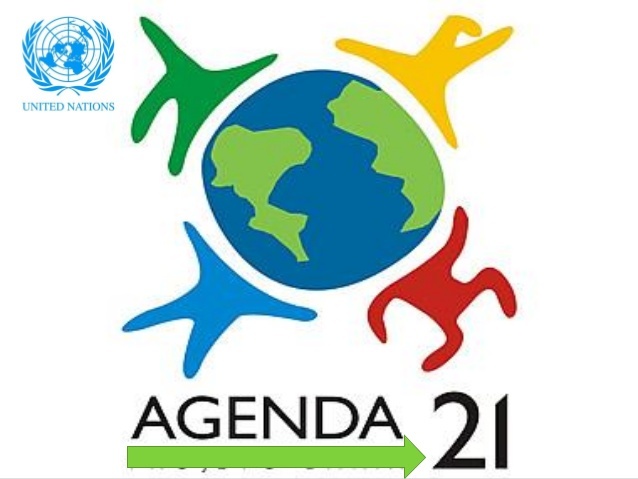 To monitor the implementation of Agenda 21 includes organizing authorities such as General Assembly, Secretary General and commission on sustainable development. The goals in international laws on sustainable development include: development of universal agreements that create environmental standards for environment protection, international review of rights and obligations of nations and measures to avoid international disputes. Information of status of urban air, water, land, desertification, biodiversity, seas, urbanization, poverty and health is needed for sustainable decision making of environment.